Nice? Rice restaurant is way better than that. This past week I went to a superb restaurant that had lots of fiery and exquisite food and incredible service. 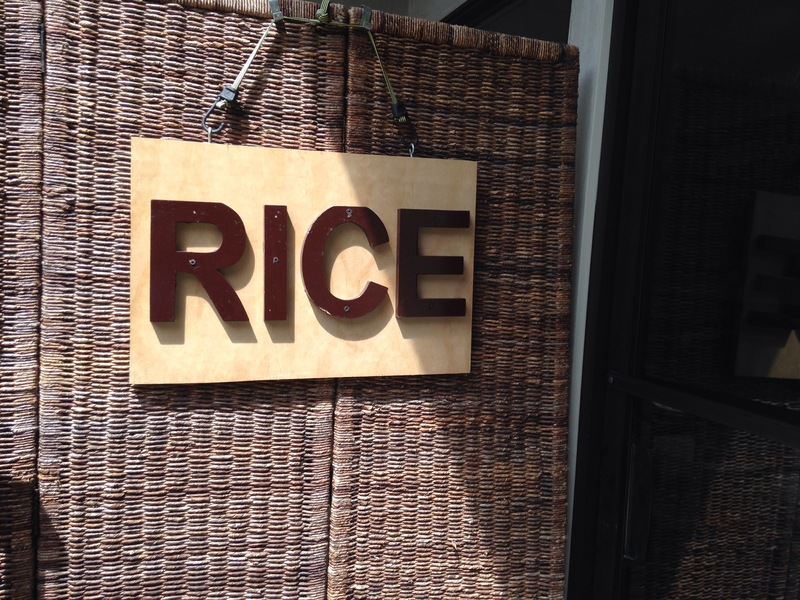 This restaurant, called Rice, is located in Manhattan Beach. It was one of the greatest experiences I’ve ever had. The inside of the restaurant had…a TV!!! I watched TV nearly the whole time there. Nah, I am just kidding. What I did most of the time there was EAT. Three dynamite rolls, two giant sweet potato fries and a huge serving of vegan tofu crunch ramen with gluten free noodles. That sounds like a lot, huh? The food looked so beautiful that I started looking around the restaurant to look at the atmosphere overall. 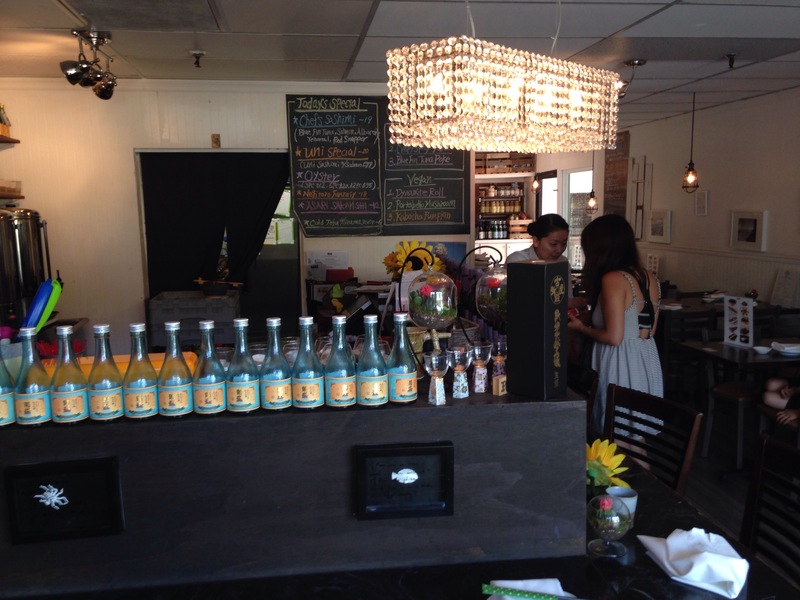 They had a little bar with bottles of wine on top and another little counter with some back up bottles of wine. The reason why I am talking about wine, even though I can’t drink any wine for 12 more years, is because I think wine bottles still look nice in restaurants. This photo doesn’t have the wine bottles but it shows how they even line up their bottles of water. I was looking around the restaurant for a while but after a few minutes I started getting too hungry. I waited at the table for FIVE WHOLE MINUTES…boy, I sound impatient. I was impatient because I was hungry! I could have counted to 300 before the food came out but then my first appetizer arrived. 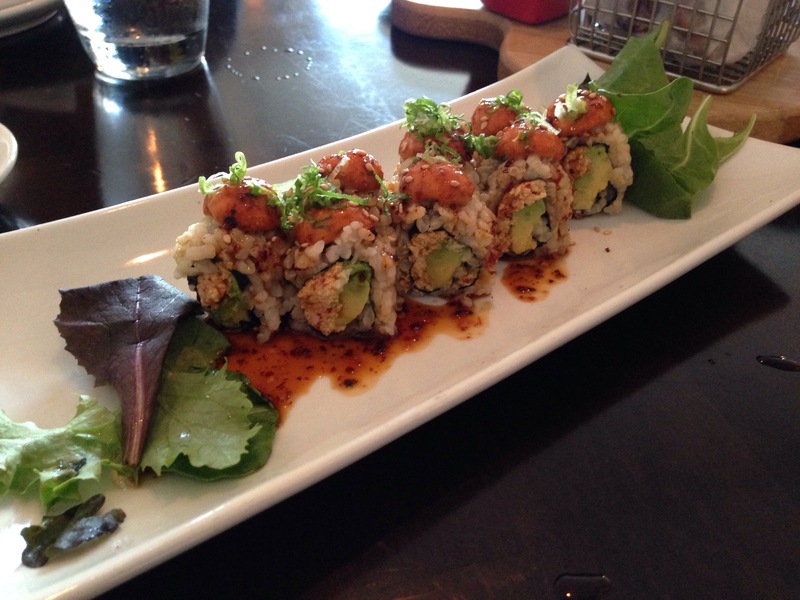 Eight pieces of a vegan dynamite roll with a gluten free tamari sauce. Finger lickin’ good! 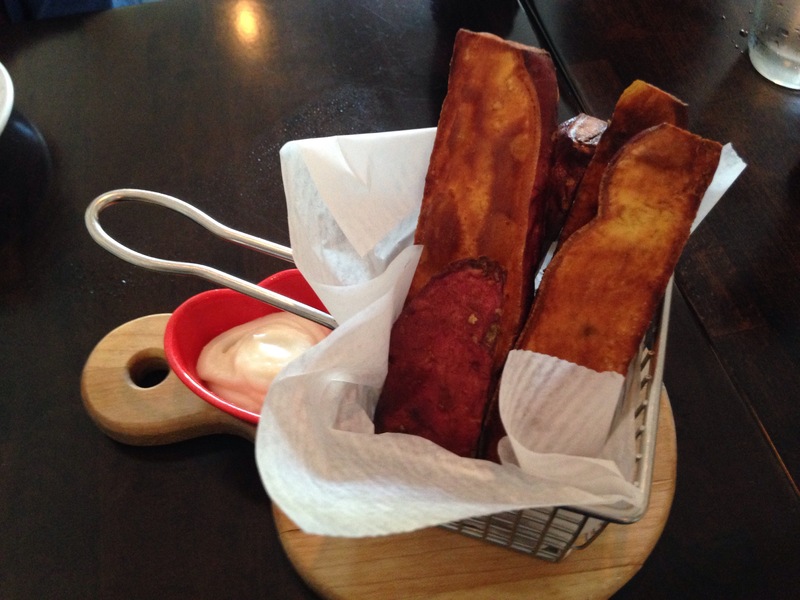 We also ordered gluten free sweet potato fries with a vegan mayo dip. These fries were gigantic. They were literally as long as your arm. Well, that might be exaggerating a little bit but they were pretty long. These tasted like the sweet potatoes were fresh from the garden and turned into yummy greatness. We ordered two other appetizers: A bowl of brussels sprouts and a bowl of edamame. 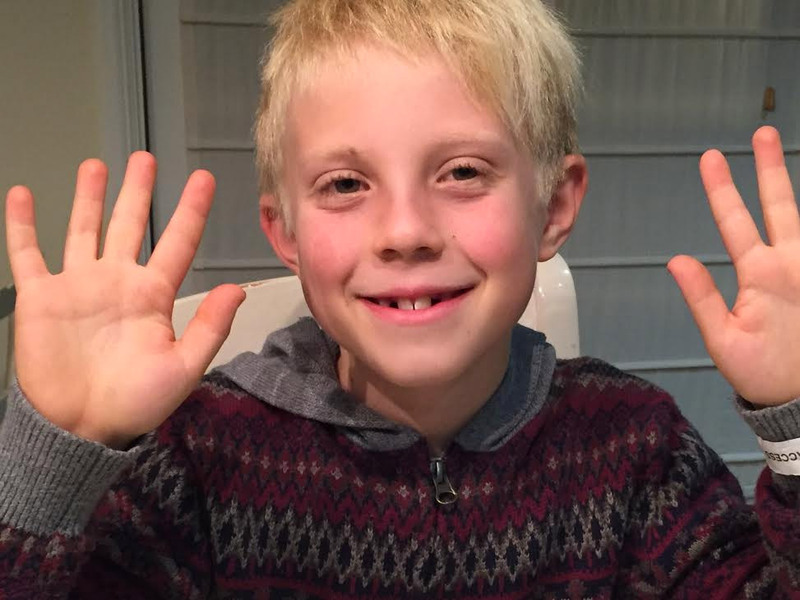 I am not a huge fan of edamame so I didn’t try it but I had a few brussels sprouts – but I tried not to eat too many because that was what my dad ordered as his main part of his lunch. He loved them! 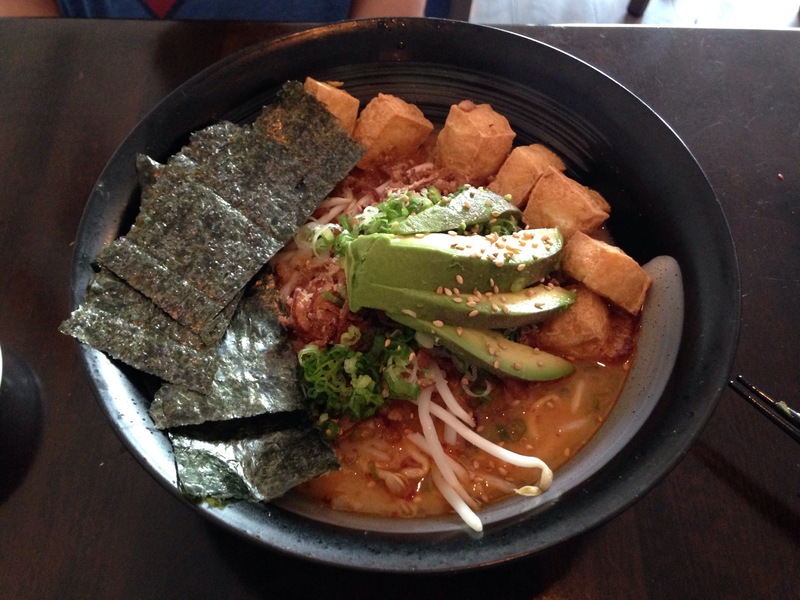 For my main course I ordered a tofu crunch ramen with gluten free noodles. I bet you guys are thinking “how does he have room for any more food?” I don’t know how but I have a magical way of making room in my tummy for anything that looks good. This was my favorite dish of everything I ordered. The tofu cubes were crunchy, and so was the seaweed. I could only try one sheet of seaweed though because, you may not know this, my brother LOVES seaweed. So as soon as he finished his I gave him the rest of my seaweed. The noodles had the fiery sauce I mentioned. And the ramen broth quenched my thirst. The whole thing was garnished with scallions and avocado and sesame seeds. No words can describe how good this was. Can’t wait to check out your blog too! Thanks for following me! Max, you and your TV thing. You are so funny! Ha. This restaurant looks fabulous. It made me hungry! Good thing I settled down to read your blog with curry black beans, cashew-cilantro-jalapeno sauce, apple chutney, roasted green chiles and a cabbage-pickle! Bite. Read on. Bite. Read on. Bite. I want those brussel sprouts. Bite. Thank goodness I had my tummy satisfied! Tuning into your blog is like turning on the Cooking Channel. Best not be hungry before settling in! I know. I talk about TV a lot. Thanks for the comment! It was nice of you to say that.